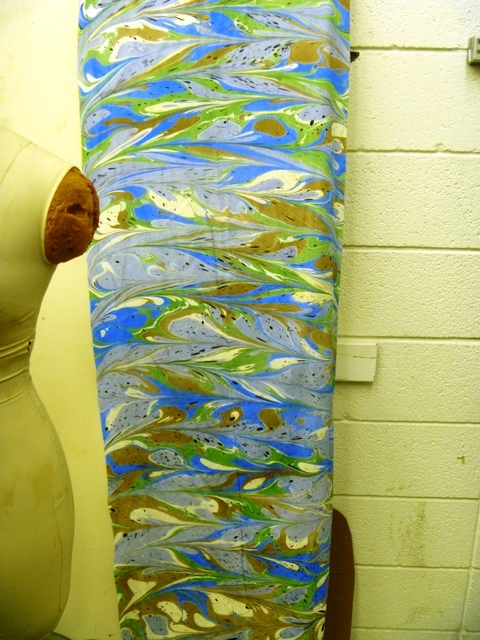 Remember last year when I took that fabric marbling class from the amazing Pat K. Thomas at the Arrowmont School of Art? Yeah, well, there were a few pieces I couldn't part with simply because 1) I loved them and 2) I knew they had a destiny and I just had to be patient and let it reveal itself to me. And reveal it did. 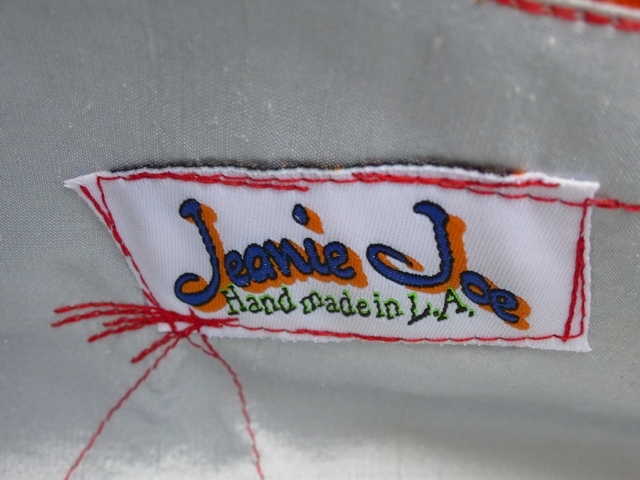 I met self-proclaimed "maker of stuff" and fashion accessory designer, Jeanie Joe (yes, that's her full name...and yes, I have to say it that way because it's so fun to do so) through a project I was working on for the South Pasadena Arts Council. She was at my house looking at some of my marbled papers and said to me, "Too bad you don't marble fabric. 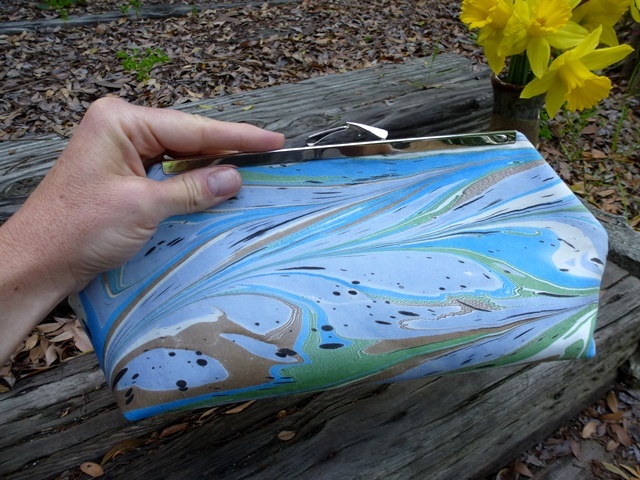 I could make some great clutches out of it." "Ummm, Jeanie," I said. "Please hold." I turned around, walked into my studio, and came out with a little surprise for her. "Will this work?" I asked smugly as I handed her the fabric pictured below. 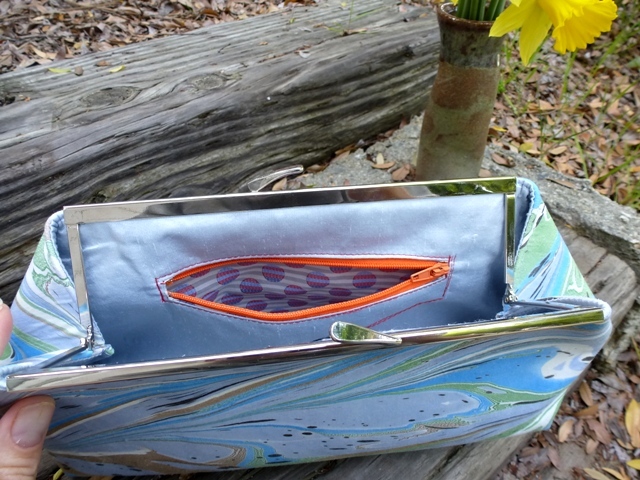 How can you not be completely and totally in love with this clutch? 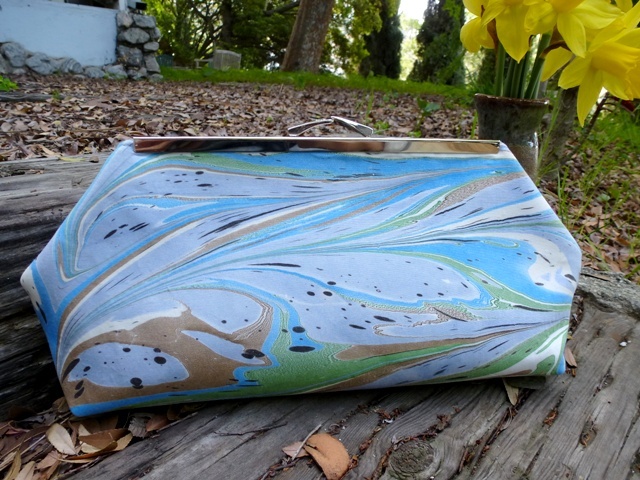 I can't wait to marble more fabric for Jeanie Joe and see what kind of gorgeous clutches, totes, handbags, and other purses she comes up with.